Do you have an old website that doesn’t accurately reflect your services? Or maybe you still haven’t set up a website? Anyone can buy equipment and start to get carpet cleaning jobs through acquaintance referrals and hustling on Facebook, but if you want to build a true brand and a business, you need to get serious about your web presence. A quality website paired with a few simple digital marketing tactics can result in a steady flow of high quality, no-hassle leads for your business. A professional website and digital marketing plan can truly help you reach your business goals and get your services and experience in front of potential customers who are ready to hire you today. That is why I’m offering a straightforward website and digital marketing package for anyone in the carpet cleaning industry. 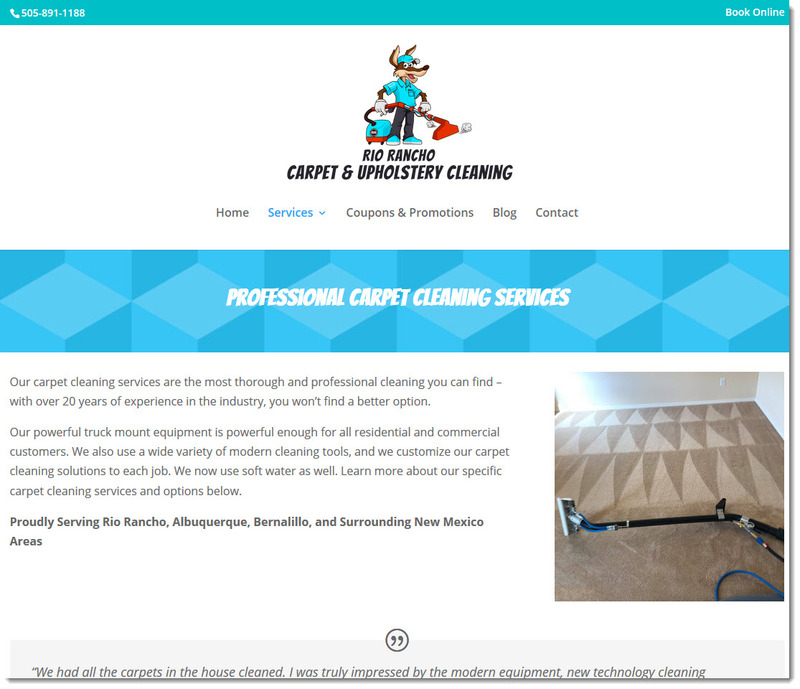 I have over 10 years of experience in web development and digital marketing (learn more about me here), and I am ready to help you present yourself professionally online with an easy to understand and affordable package tailored to the carpet cleaning industry. I have years of experience in building websites and ad campaigns for small and medium sized service businesses. 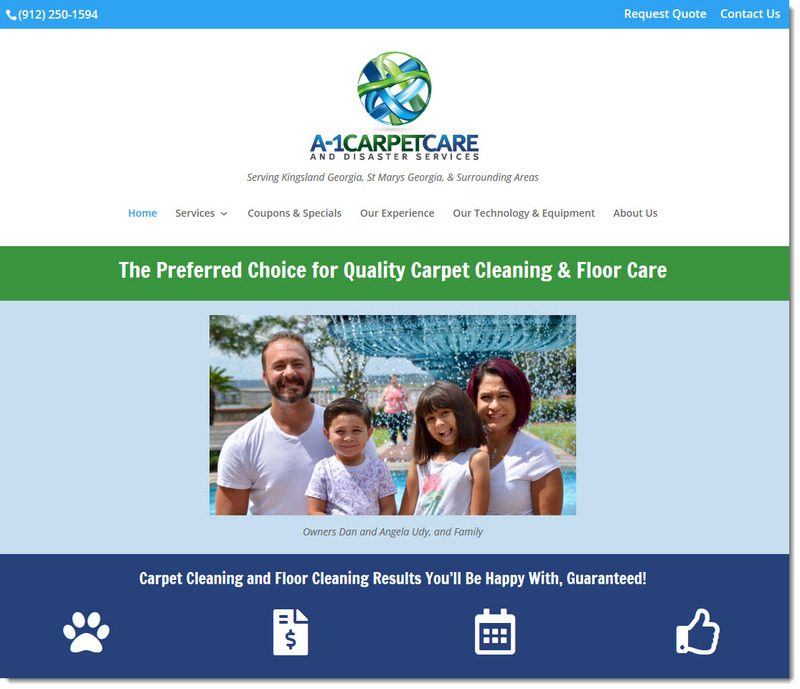 Additionally, my brother Dan Udy has owned and operated a successful carpet cleaning business in South-east Georgia for over 10 years (check out A-1 Carpet Care), and I have been his web development and digital marketing partner from the beginning. Over the past decade I’ve also worked with a number of his industry peers, setting up websites, putting together Google and Facebook ad campaigns, and more. I will help you audit your existing domain and hosting providers, or help you get set up with the accounts you need to register a domain and host a website. You retain ownership over the domain and the website, and I am here to help make it work. I will set up a WordPress website using a baseline template, with a custom look and feel to match your existing brand. This includes pages that highlight each of your services, and automatic mobile-friendly layouts. Your new website will be search friendly and optimized for search engines. Each of your pages will be custom-tailored to target keywords related directly to your location and services. This maximizes the potential of your site achieving top search engine rankings in your geographic area. Some website developers and digital marketing agencies only work with you if you sign a long-term contract with minimum monthly fees. I believe in charging for quality work up front, and only continuing to bill you if I continue to help you evolve and expand your marketing initiatives. This package is designed to get your business online with everything you need to start winning clients, without requiring you to continue to pay me every month. Start finding new customers immediately after launching your new website with a Google Ads campaign tailored to your location and services. Even a few dollars a day spent in Google Ads can result in regular quality leads, if your campaigns are fine-tuned by a professional. Please note: ongoing spend for ad clicks is not included in the package price.